Product information "SP Connect Bike Bundle for Apple iPhone iPhone 8+/7+/6s+/6+"
The SP ConnectTM Bike Bundle contains universal options for securely attaching the smartphone to your bike. Assembled within seconds. 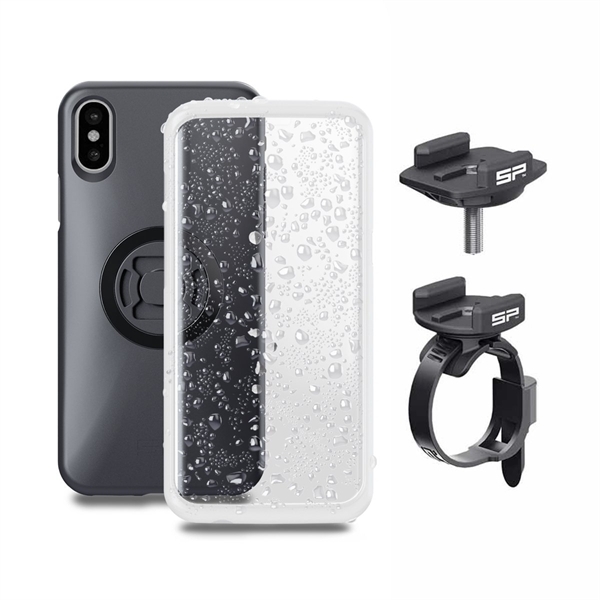 The smartphone can be attached to the Bike with the included clamp mount or stem mount (headset cap) and the phone can be used with the SP ConnectTM Phone Case. By simply turning it 90° clockwise, the smartphone sits firmly and securely in the holder. Your phone is now securely positioned in your field of vision, allowing you to use apps, navigate, access playlists and read important messages. The Weather Cover protects your phone from minor bumps, rain and dirt at all times. Related links to "SP Connect Bike Bundle for Apple iPhone iPhone 8+/7+/6s+/6+"
Customer evaluation for "SP Connect Bike Bundle for Apple iPhone iPhone 8+/7+/6s+/6+"
Topeak SmartPhone DryBag black 5"
Topeak SmartPhone DryBag black 6"